Monster Discussion / New MH Books! New look for Frankie and a new special? The Monster High toyline might be dormant at the moment, but it seems some more books are in the pipeline, and they suggest some interesting things for the franchise. 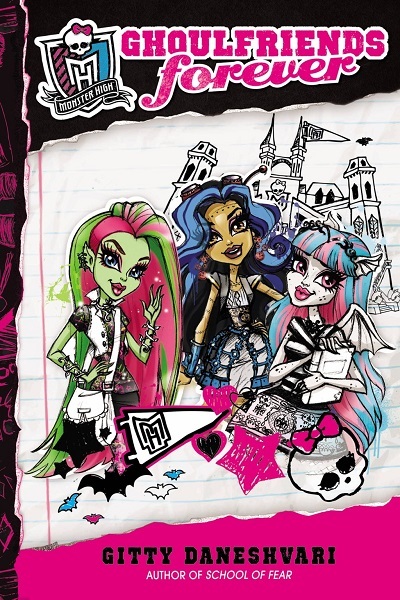 First off, Amazon has a listing for 'Monster High: SS18 Entertainment Deluxe Junior Novel', which is described as 'Based on the latest Monster High entertainment, which now airs on YouTube'. Could this mean that we're getting a new Monster High special in the summer? Maybe a new season of The Ghoul Squad? Here's the rather adorable cover art. What's interesting is that Frankie and Alivia are both wearing outfits which are very different from their usual clothes. 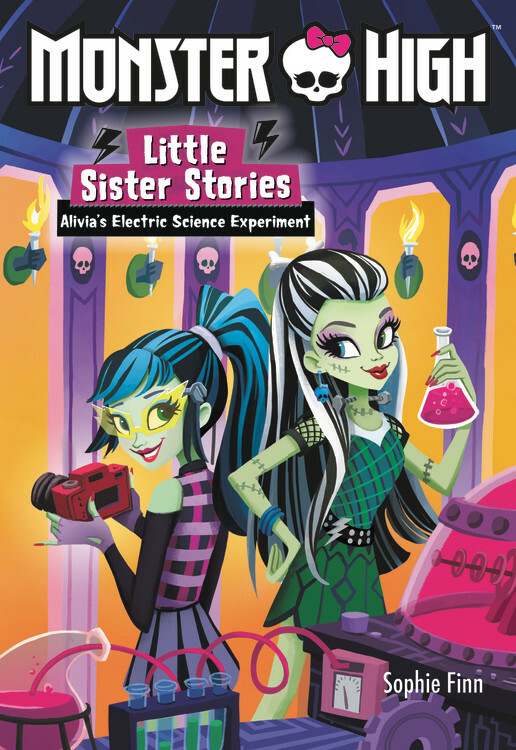 In the cover art for the previous Little Sisters books, Draculaura and Clawdeen were seen wearing their standard G2 outfits. Could this mean Frankie will be getting a doll with this new outfit? And maybe the other main ghouls as well? It's a little unlikely, given the current state of the franchise, but who knows, maybe Mattel are planning some kind of revival or renewal of Monster High we don't know about. It's something to speculate about at least, and hey, new books! It looks like Monster High might not be dead yet. A new line of basic dolls has been revealed in a Mattel catalog. It's a Rainy Day line featuring Lagoona, Venus and Ari with rainboots, umbrellas and raincoats. It looks like they'll be unarticulated, but they come with some nice clothing items. 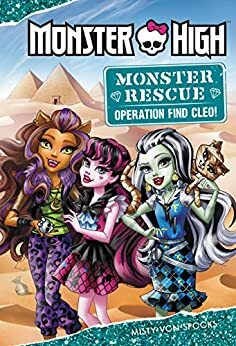 I wasn't sure if we were gonna get any more Monster High books, but it looks like a new series is starting up in July next year. This new series focuses on the ghouls and their younger sisters. I'm certainly happy to see the new sisters beyond Fangelica finally getting some character stuff and lore devoted to them. We've yet to see the kids get any significant story stuff, so I hope these books flesh them out more. Also, the cover art is adorable. Finally, some new dolls for 2018! First, we've got the Ballet line, which features Cleo, Draculaura, and for some bizarre reason, Moanica. Next, a new, much improved version of the Ghouls to Bat Draculaura, and a new Ghoul to Wolf Clawdeen. And some new Minis which come with their pets. So, remember when the storyboards for The Lost Movie, the cancelled Monster High/Ever After High movie were shown? You may recall that part of the plot revolved around the ghouls looking for an old friend of Draculaura's named Una. Well, an animator named Casey Sanborn has posted details about the character and who she was meant to be. 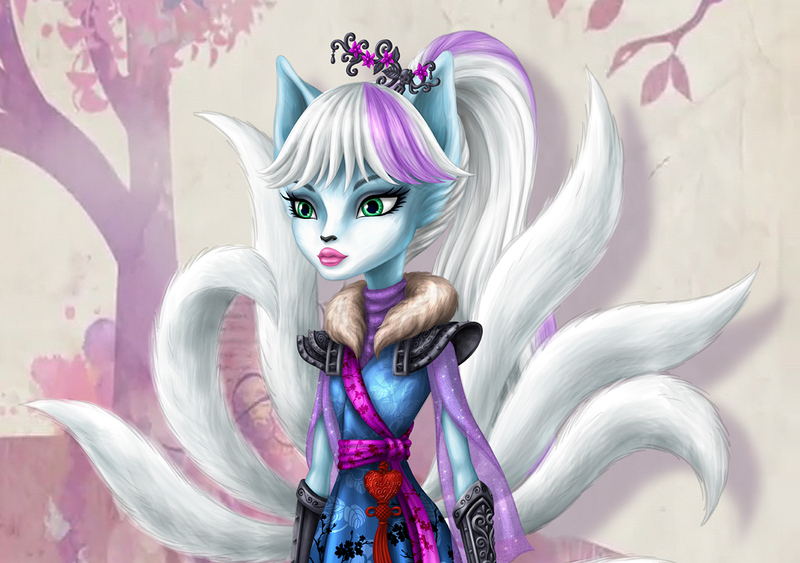 Her name is actually Euna, and she's based on the Kumiho, a creature from Korean mythology. Monster Discussion / Listings for Ballerina dolls and Minis Pets. Surprised these hadn't been mentioned here yet, but some listings for some of next years dolls have shown up on Amazon. The descriptions on each one are slightly off, but these may be placeholders. I'm baffled by the idea of Moanica being in the Ballerina line. Did everyone forget she's the murder happy, anarchist villain? Why would she take up ballet of all things? It doesn't fit her character. Monster Discussion / New movie special: Happy Howlidays Ghouls! The title of the next MH movie special has been revealed: Happy Howlidays Ghouls! I’m kinda surprised that after all this time, we’re finally getting a Christmas themed MH movie. I wonder if we’ll see some Christmassy dolls to go along with it? Monster Discussion / Cleo and Ghoulia Origins 2-Pack! Well, finally! Mattel have revealed the much anticipated Cleo and Ghoulia 2-Pack, which will be sold as a Mattel store exclusive on the 19th of July. I gotta say, both of these dolls look fantastic. It's nice to see Mattel splashing on the detail again. Surprised this hasn't been mentioned here yet, but there's a new EAH graphic novel out, which is focused on the main cast's parents when they were students at the school. Thanks to some magical plot device, the gang get to see their parents when they were teens, including a few parents we haven't seen before such as Pinocchio, Goldilocks and the Pied Piper. There's some pretty neat designs for all the parents, and it makes me wonder if Mattel could have made some dolls out of some of them. Maybe reboot the EAH line and focus on the parents. Monster High and Ever After High is finally getting a crossover! It's in book form, but it's finally happening, and I thought it would good to start a thread to discuss it. What do you want to see in the story, and what do you think will happen? Summary: A dangerous story is bubbling and almost all the Narrators are scared to tell it. Cracks in the World of Stories are spreading, and the ominous Shadow High is gaining power. Only one young, brave Narrator, Brooke Page, is ready to tell this tale. As the first cracks show, Frankie and Draculaura are accidentally transported to Ever After High, where they meet Raven Queen and Apple White. 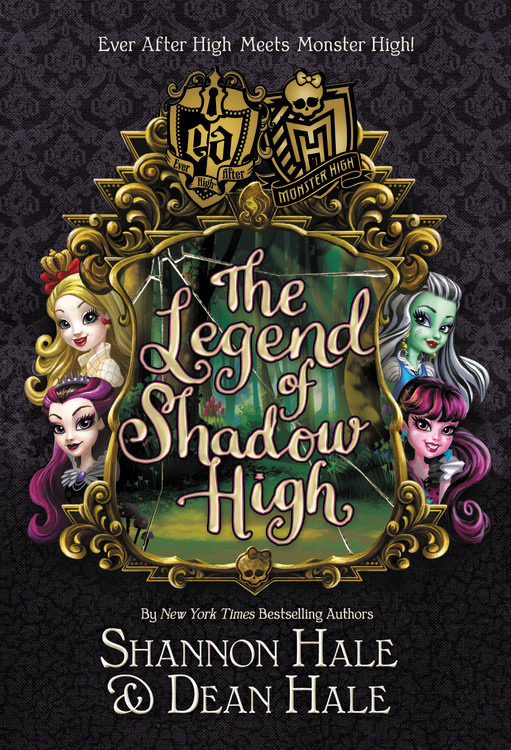 After the girls recover from the shock of learning that fairytales and monsters are real, they discover that the Evil Queen has escaped her mirror prison in search of the ultimate power, hidden in Shadow High. Frankie, Raven, Draculaura, Apple, and Brooke must stop the Evil Queen and save the World of Stories from the evil that lurks in Shadow High! So there's a Monster High magazine which has Moanica and Ari's full profiles, which seems to have more information that isn't featured on the MH website. However, they're printed in Russian. I was wondering if someone here could possibly translate the pages? I was checking out Trademarkia, and found a few new trademarks, including a possible new MH character. On Tuesday, February 21, 2017, a U.S. federal trademark registration number 87344212 was filed for GRISELLE GRANDE by MATTEL, INC. with the description DOLLS, DOLL CLOTHING AND DOLL ACCESSORIES; TOY FIGURES AND ACCESSORIES THEREFOR; TOY FIGURE PLAYSETS AND ACCESSORIES THEREFOR; CONSTRUCTION TOYS; ROLE PLAY TOYS. While the name certainly sounds monstrous enough, this could be another Enchantimals character, with Griselle referencing a grizzly bear. Monster Discussion / Monster High facing its end? I'm not sure if this definitely means Monster High is on its way out, since we're getting a lot of new content in 2017 such as dolls, books and the upcoming animated series, but it's certainly cause for concern, considering the negative reaction the reboot got from a lot of fans. Ever After High Discussion / Ever After High/Monster High crossover book? We actually getting a MH/EAH crossover in book form? Written by Shannon Hale, who wrote the previous Ever After High books? Sign me up! Hopefully the story is better than what we had in the Lost Movie. Some new trademarks have popped up. As well as the names of some of the original pets, we have what might be a new doll line. Hot News! On Monday, November 28, 2016, a U.S. federal trademark registration number 87249224 was filed for HISSETTE by MATTEL, INC. with the description TOYS, GAMES AND PLAYTHINGS. Hot News! On Monday, November 28, 2016, a U.S. federal trademark registration number 87249228 was filed for NEPTUNA by MATTEL, INC. with the description TOYS, GAMES AND PLAYTHINGS. Hot News! On Monday, November 28, 2016, a U.S. federal trademark registration number 87249232 was filed for PERSEUS by MATTEL, INC. with the description TOYS, GAMES AND PLAYTHINGS. Hot News! On Monday, November 28, 2016, a U.S. federal trademark registration number 87249240 was filed for INTERGALACTIC GALA by MATTEL, INC. with the description DOLLS, DOLL CLOTHING AND DOLL ACCESSORIES. Intergalactic Gala is the interesting one. It obviously sounds space themed, and we had a space themed Barbie line just a few months ago. I doubt Mattel would be going back to a space theme for Barbie so soon, so could this be for Monster High? It certainly seems ripe for opportunity. We never got to explore the space angle in Boo York Boo York, and there's a lot of great ideas that could be used. Will Astranova make a return? Will we finally see Frankie in her space costume from Frights Camera Action? Will more alien characters appear? Came across this on Tumblr. It's nice to see EAH is getting some more story material. Apparently it will be released in June 2017. 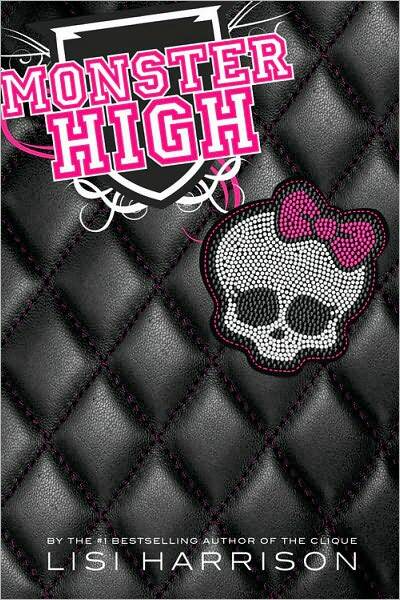 We hardly ever discuss the various Monster High book series which have appeared over the years, so I thought I'd make a thread for anyone who wishes to post their thoughts on the books, and to introduce them for any new MH fans here. The first series was released shortly after the first wave of dolls came out, and since the world in the webisodes/movies hadn't been fully established yet, this series has a very different story from the world we know. In this series, the monsters are all hiding disguised as humans living in a regular town, until Frankie, with the help of a human named Melody, decides to bring the monsters out of hiding and develop friendships with the humans. While it's considered the first instance of giving the main ghouls some backstory and featuring their parents, the series gets a lot of flack for it's characterisation and overuse of now dated pop-culture references. The second series is very much based on the webisode/movie universe, and in a nice change of pace, focuses on Robecca, Venus and Rochelle instead of the main ghouls. As well as letting these characters develop a really good relationship with each other, there's also a mystery plot as they take on sinister teacher Sylphia Flapper. Its generally considered the best of the book series. The third series focuses on each of the main ghouls as they experience an important event in their life. 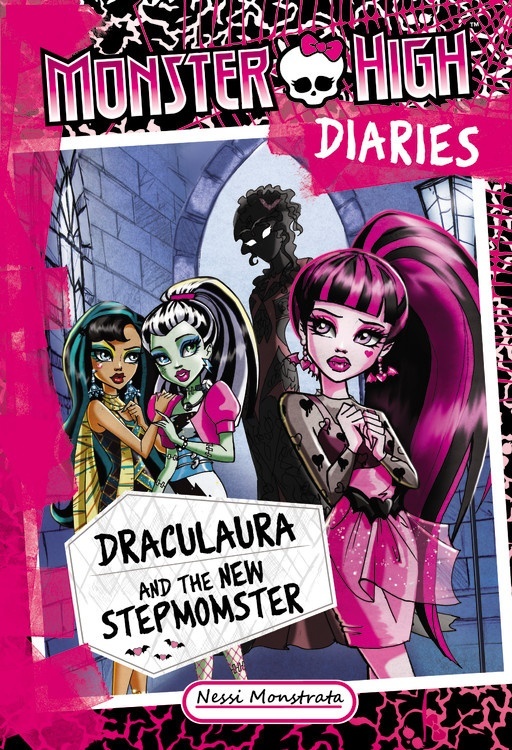 These books feature a fair bit of character development, especially how each ghoul interacts with their family, and even introduces a few new family members such as Cleo's mother and Draculaura's stepmother. The newest series which starts in December. This series seems to be set in the reboot universe and looks to expand on some of the events of Welcome to Monster High. I thought this might be interesting... a new trademark has been registered by Mattel. On Tuesday, November 8, 2016, a U.S. federal trademark registration number 87229694 was filed for EVERYONE IS WELCOME by MATTEL, INC. with the description DOLLS, DOLL CLOTHING AND DOLL ACCESSORIES; TOY FIGURES AND ACCESSORIES THEREFOR; DOLL PLAYSETS AND ACCESSORIES THEREFOR; TOY FIGURE PLAYSETS AND ACCESSORIES THEREFOR; TOY BUILDING BLOCKS; TOY CONSTRUCTION SETS. I have a feeling 'Everyone is Welcome' is Monster High's new slogan for 2017, and if so, its a pretty appropriate one. Hallmark have just released Monster High versions of their Itty Bitty plush toys, featuring Frankie and Draculaura.